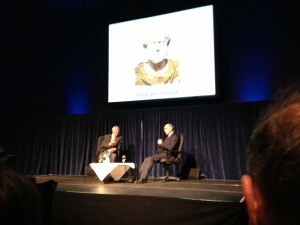 Prof. Charles Handy interviewed by Brendan Madden, CEO of Relationships Ireland at the Mansion House last night. An inspiring, insightful, enjoyable and optimistic talk by Prof. Handy. His new book and his wife’s photographs added to the experience. Liz Tandy provides great pictures which illustrate the world view of her social philosopher husband. Global Leadership Can Low Self Confidence be Instrumental to Career Success?